How can you get started with home automation? How does home automation works? Perhaps, this is the first thing which comes to your mind when talking about home automation. We put up this article to answer that question so you can start to automate some things in your home. Home automation is making technology, through computers, electronic devices and sensors, control and schedule operations or works at home without human intervention. 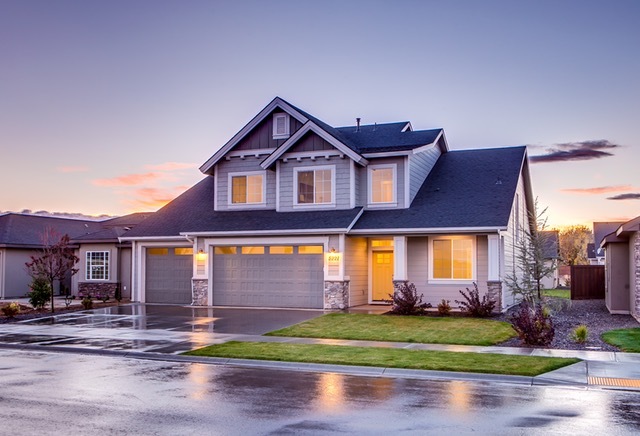 These home operations includes lighting, air conditioning, fire and smoke detection, security cameras, surveillance systems, alarm systems, thermostat adjustments, water controls and among many others. Therefore, you need to have the right devices which we usually refer to as smart devices. More importantly, a home where automation is applied is called a “smart home“. The best way to understand how things work in home automation is to learn of its components and automation flow. We think there are four components of an automation system. These components are triggers, controllers, network and the task. This is the general concept behind how automation works: a trigger signals the controller to initiate the task. They are all connected within a network. The starting point of the whole automation operation are the triggers. A trigger is a signal or message sent to the controllers. The most common triggering device is sensor. In fact, there are plenty of sensors for many different functions. A light sensor is one good example which can trigger when to turn on or off the lights. Aside from sensor signals, triggers can also be messages from other smart devices within the network. Controllers are the electronic devices which controls the automation. These devices are the brain of the whole automation process. A controller can be a computer, smartphone or a special electronic device made for a particular purpose. They are the receivers of the signals or messages from triggering devices. They interpret and process these messages to decide what to do or facilitate the automation process. The triggering devices, controllers and home equipment are interconnected within the same network. They should all be connected to each other. Communication between them is very important. This is the concept of “Internet of Things” (IoT) where all devices are interconnected so that they can talk with each other through messages and react or function accordingly. We hope that this simple explanation helps you better understand the concept behind how home automation works. This knowledge will help you get started with home automation. You can now start your own work of making it happen to your home. We prepared these steps to help you begin making your home smarter. First, prepare a list of the tasks you want to automate at home. There are indeed plenty of tasks to do at home. You might not think of it always because most of them might be too little to notice. Or perhaps, you are getting used to do such things which kind of makes them automatic to you. There are actually plenty of things you can automate at home. The list above is a good starting point of what you could consider to automate in your home. You should list them all by priority. Now, you have identified the things you wanted to automate at home, then you can now look for the controllers you need. There are plenty of home controllers out there, some very specific to a purpose like switching lights and controlling the temperature. Above all, there are also home automation controllers which can be used to allow communication for different smart devices. These are also referred to as hubs. Samsung SmartThings Hub – this hub can be used to connect different smart devices through wireless communication. You can use this to connect plenty of compatible smart devices such sensors, thermostats, lights and among others. This device will serve as the brain of your home automation system. This also comes in with a mobile application that you can use to manage things. Amazon Echo – this is the smart speaker created by Amazon. What’s cool with this device is that it can interact through voice commands. This can also be used as a smart hub and manage different smart devices. TP-LINK Smart Plug – this is a smart wifi plug. You can plug in any electronic device and turn it off-on anywhere even remotely through the use of a mobile app. It is easy to use. You can just plug in the device and connect this smart plug to your wifi network. Sensi Smart Thermostat – You can use this smart device to control your thermostat at home. This device allows you to control your thermostat from anywhere with the use of a mobile app. This also offers a scheduling for your heating and cooling systems you will save energy at home. There are a lot more choices for the best home automation controllers that will fit your needs. These are just starting points where you can use to enable home automation. We advise that you read more about these devices so you will know more about their features. We hope that this will help you get an idea about home automation and the steps you will need to take . This is just the start of everything about home automation. We think that this is a good way for you to get started with home automation and we wish you good luck.